If I'm being quite honest, when I thought about the places I wanted to visit while abroad, Copenhagen wasn't at the top of my list -- mainly because I knew nothing about it. But when life gives you cheap airplane tickets, you pack your bags and go without hesitation. I have no regrets (even though I had an awful sinus infection while there). One of my best friends went to Copenhagen a few weeks ago, and I sent along my recommendations. Now I'm here to share the same with you all! One of the most iconic and photographed areas of Copenhagen, often described as "that place with the colorful buildings by the water." Back in the day it was a busy commercial port. 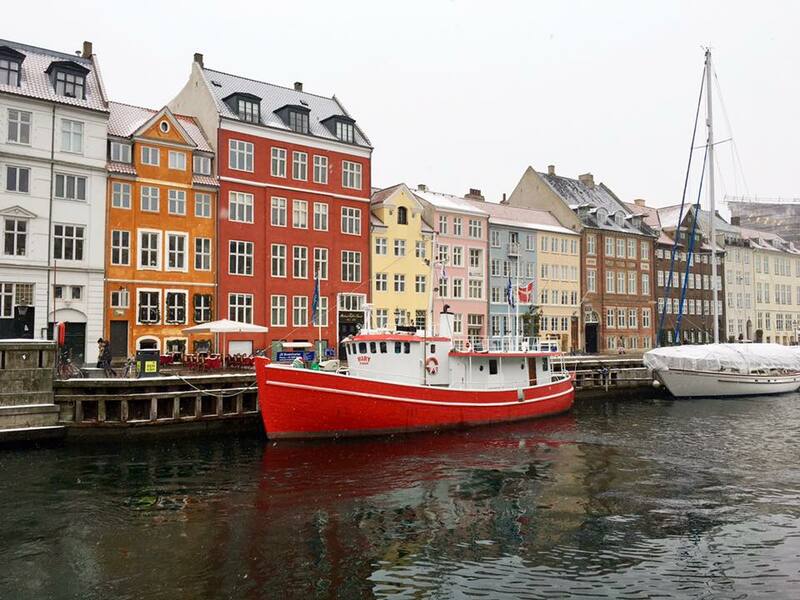 Let's be real, no proper trip to Copenhagen would be complete without Nyhavn. Not far from Nyhavn, Strøget is one of Europe's longest pedestrian streets with tons of shopping and restaurants. Spend some time walking down the small streets and popping into stores. I didn't get the chance to go here myself, but it comes HIGHLY recommended by my friends that just came back from their trip -- and I trust their food opinions wholeheartedly. You choose the different elements of your breakfast, which I really appreciate; no more having to decide between two things because you can have them both, and more! Aka Rosenborg Castle, which was home to King Christian IV. The crown jewels are kept in special vaults and are super cool to see firsthand. They're so ornate it's hard to grasp everything is real. One of the oldest functioning observatories in Europe. Take the spiral walk to the top for a great view of the old part of Copenhagen. It was really foggy on the day we went, but the walk up itself is really nice and still worth it even if you're unlucky like us. The interior is unique, and there's a gallery of sorts you can stop into halfway up. I say potentially because as you might guess, the famous Little Mermaid statue is right on the water. If you visit during the winter like I did, it's definitely not ideal weather-wise. A Danish friend of mine actually advised against it at the time saying “she's unimpressive” haha -- he wasn't completely wrong, she is pretty small. But if you have the time like we did, it's nice to see her for your inner Disney/Hans Christian Andersen fan.